Wedding sparklers make an excellent addition to a wedding, and they’re multi-purpose too! Not only are they great for send offs, you can create magical portraits at your reception with wedding sparklers and time-lapse photography. Now that you’ve decided that wedding sparklers would make a wonderful addition to your wedding, how do you choose the best sparklers for your wedding? Wedding Sparklers Outlet has many sparklers for sale in various sizes and shapes to accommodate your needs. We sell 10 inch, 20 inch, and 36 inch wedding sparkles that are smokeless, so your photographs are clear and bright! 10 inch, 20 inch, or 36 inch Wedding Sparklers--Which One Is Right For Me? We recommend the 10 inch wedding sparklers for smaller weddings of 50 guests or less. The larger 20 inch sparklers are better suited for larger wedding parties to create beautiful send offs. The larger the wedding sparkler, the longer you will have to allow the newly married couple to make their exit. 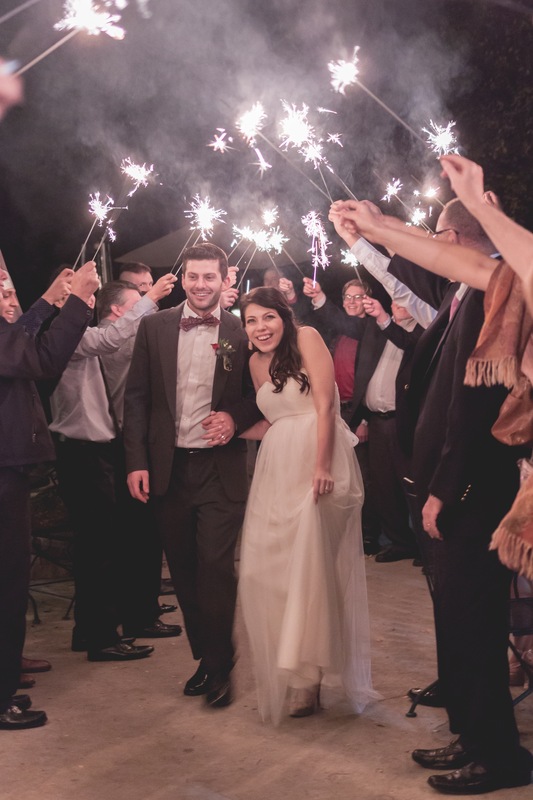 That’s why the 36 inch sparklers are great for outdoor weddings that require larger exits. If you are looking for a more personal touch for your wedding party, consider our Heart Shaped Sparklers. These wedding sparklers add just enough character to your wedding favors. Simply light them at the top, and watch the heart burn either red or traditional grey depending on your needs. Some of our customers choose to mix-and-match their sparklers, often using the 10 inch wedding sparklers for photographs and the larger 20 inch sparklers or 36 inch sparklers for their send offs. Wedding Sparklers Outlet can work with your budget to provide the best mix of wedding sparklers for your needs. Contact us today to discuss your wedding, and how we can help brighten up your wedding day!